(1) Discuss your thesis idea with a member of the faculty with expertise in the field of your topic. If the faculty member agrees to direct your thesis, he or she will recommend to the Director of Graduate Studies and the Chair of the Department that you be admitted to the Thesis Program. (2) If this request is approved by the Director of Graduate Studies and the Department Chair, you will establish a committee of three professors, which includes the faculty member who has agreed to direct your thesis. Please then complete the Appointment of Thesis Committee form. (3) After your Committee has been determined, you must prepare a Thesis Prospectus that clearly explains your thesis topic. Please see the Sample Prospectus below for more information. Once you have drafted your Prospectus in consultation with your Thesis Committee Chair, then attach it to the Thesis Prospectus form and have the members of your committee sign off on it. (4) After the Prospectus has been approved by your Thesis Director and the History Department Chair, it will be sent to the Dean of the College of Humanities and Social Sciences for Final Approval. (5) For more information on Thesis preparation see the Graduate Studies page entitled, Thesis and Dissertations: Guidelines and Tools. In considering your thesis topic, you must be able to show that you have developed a new approach to the current scholarship and that there are sufficient primary sources to allow you to complete your thesis. You will use your research in primary documents to prove your point. Once you begin researching and writing your thesis, you must register for HIST 6398. After completing three hours in HIST 6398, you must enroll in HIST 6399 until you complete your thesis. Plan to submit each chapter to your Thesis Director as you complete it since most professors prefer to make comments and have you revise each chapter before allowing you to move forward with the work. Please establish a system that works best for both of you. Expect heavy editing, just as you would with a published work. Please communicate with your Thesis Director at every opportunity. You should complete the Thesis well in advance of all University, College and Departmental Deadlines. Deadlines are posted on the University Academic Calendar. After you have made the corrections suggested by your Director and your Thesis Committee, you should prepare for the oral defense of your Thesis. Once the members of the committee have read the manuscript, you will need to arrange a time convenient for all the members of the committee to gather for the defense. Unless otherwise notified, defenses will take place in AB4 - Rm. 452, the History Department Conference room. If you are an on-line student, you will need to find a facility, approved by the History Department, in order to carry a defense via phone or skype. Please contact your Committee Chair to determine if the site you have chosen is adequate. During the defense, the student will be expected to answer all questions relating to the topic of his or her thesis. If the Director and committee approve the thesis, you will be expected to make any corrections required before sending the Thesis forward. Once the Thesis is approved, please complete a routing sheet signed by all of the members of your committee and submit the thesis and routing sheet to the Dean of the College of Humanities and Social Sciences, and to the Library where the manuscript will be checked for margin widths and binding. Please see the Thesis/Dissertation Guidelines/Manual at the Graduate Studies Current Students webpage. 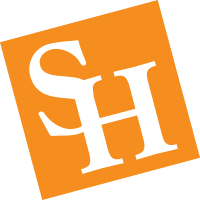 The SHSU Graduate Studies webpage has further information on Routing Sheets and necessary paperwork for graduation approval.